What is it that today’s modern learners need to thrive? How can schools and districts systemically create a vision of teaching and learning that’s personal, authentic, relevant, and harnesses the power of technology? The Future Ready Framework, a dynamic, research-based support for school leaders, created by Future Ready SchoolsⓇ (FRS), is helping thousands of schools create these types of learning experiences for kids. The heart of the framework is the student – our why – which is surrounded by seven large transformation areas, known as “gears,” all held together by collaborative leadership. In a Future Ready district, curriculum, instruction, and assessment are tightly aligned, redesigned to engage students in 21st Century, relevant, technology-empowered, deeper learning. Curricula and instruction are standards-aligned, evidence-based, and enriched through authentic, real-world problem solving. Students and teachers have robust and adaptive tools to support learning, teaching, and assessment, ensuring that it is student-centered and emphasizing deep understanding of complex issues. Equity is core to the work, and FRS districts are working diligently to create opportunity for all students, particularly those that are traditionally underserved. In future ready schools, technology and digital learning expand access to high-quality, ongoing, job-embedded opportunities for professional learning for teachers, administrators, and other education professionals. Non-traditional forms of professional learning such as the use of social media and Edcamps are valued, not dismissed. Such opportunities ultimately lead to improvements in student success and create broader understanding of the skills that comprise success in a digital age. School leaders have been asking teachers to differentiate instruction for the better part of two decades. FRS school leaders practice what they preach and work to make professional learning personal for their staff, while simultaneously modeling the way. The transition to a more personal and authentic approach requires strategic short-term and long-term budgeting and leveraging of resources. All budgets at the district and school levels should be aligned to a vision of learner-centered experiences, with consistent funding streams for both recurring and nonrecurring costs to ensure sustainability. FRS school leaders are strategic with their investments in time and money, and work collaboratively to leverage resources and partnerships, while thinking long-term. Community partnerships include the formal and informal local and global community connections, collaborative projects, and relationships that advance the school’s learning goals. Digital communications, online communities, social media, and digital learning environments often serve as connectors for these partnerships. FRS school leaders that are partnering with businesses and community organizations, and recognize the incredible value in the school’s community, are providing deeper opportunities for all, and gain broader community support throughout the process. Data privacy and security are foundational elements of a student learning experience. FRS districts ensure that sound data governance policies are enacted and enforced to ensure the privacy, safety, and security of confidential data sets. A learner-centered environment uses technology to collect, analyze, and organize needed data to provide continuous cycles of feedback to students, teachers and other education professionals, with the intent of increasing the depth, breadth, complexity, and efficiency of learning. FRS districts work diligently to protect student data privacy, and educate those with sensitive access to handle the information with care, and ensure their policies and protocol are up-to-date and relevant. When employed as part of a comprehensive educational strategy, the effective use of technology provides tools, resources, data, and supportive systems that increase teaching opportunities and promote efficiency. High quality, high speed technology and infrastructure systems within a school district are essential to the advancing of digital learning. Such environments enable anytime, anywhere learning. 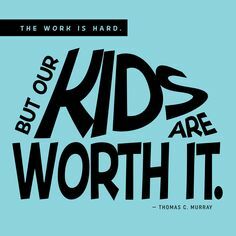 Yet, as budgets have remained stagnant over recent years, schools continue to buy more and more educational technology than ever before. In some places, the student learning experience is being redesigned to one that is personal, relevant, and authentic. In others, these new devices are pathways for digital worksheets and have lead to hours spent staring at a computer screen filled with passive, low-level use. Leveraging a robust infrastructure for active use and learner-empowerment is key. Learning that is personal requires changes in the way instructional time is used and the learning space is designed. Many schools are shifting away from Carnegie units to mastery-based learning. This type of system adapts learning to meet the needs, pace, interests, and preferences of the learner. A shift in pedagogy also requires a shift in the space the learning takes place. Creating evidence-based, learner-centered environments is key. Redesigning learning spaces isn’t about decorating a space; it’s about how design impacts the brain and ultimately student learning. The outside ring of the Future Ready Framework, and what holds all of the interworking gears together is collaborative leadership. Simply put, you, as a school leader, are part of the foundation of creating a future ready school. Critical to a successful transformation is your ability to create a culture of innovation that builds the capacity of students, teachers, administrators, parents, and community to work collaboratively toward a transformed learning experience. Today’s generation of students, regardless of the zip code they call home, both deserve and need, greater opportunity than the traditional education structure has previously afforded those in the past. This isn’t simply an educational issue to debate, but an economical issue that will have a lasting impact on generations to come. We can no longer wait. Time is of the essence. It is our obligation to prepare our students for their future and not our past. 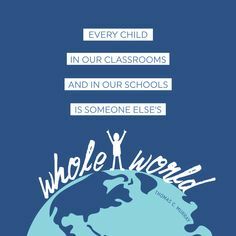 We must create and lead schools that are relevant for the world our students live in, not the world our staff grew up in. We must do this – starting today and you are part of the solution.